The kids really enjoyed that DIY Dairy Queen Ice Cream that I made a few weeks back, so I decided to make a little more. If you will recall, I had wondered what purpose the gelatin served in the mixture, so when I made it again, I decided to leave that ingredient out. As I had thought, it served no purpose at all. 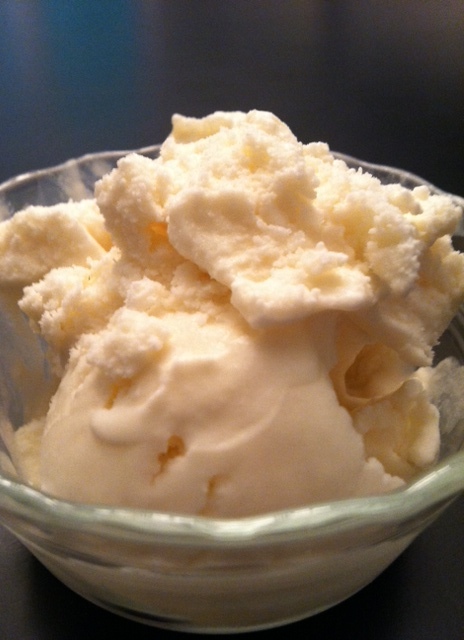 In fact, the revised ice cream was smoother and creamier than the original batch, with no discernible flavor difference.